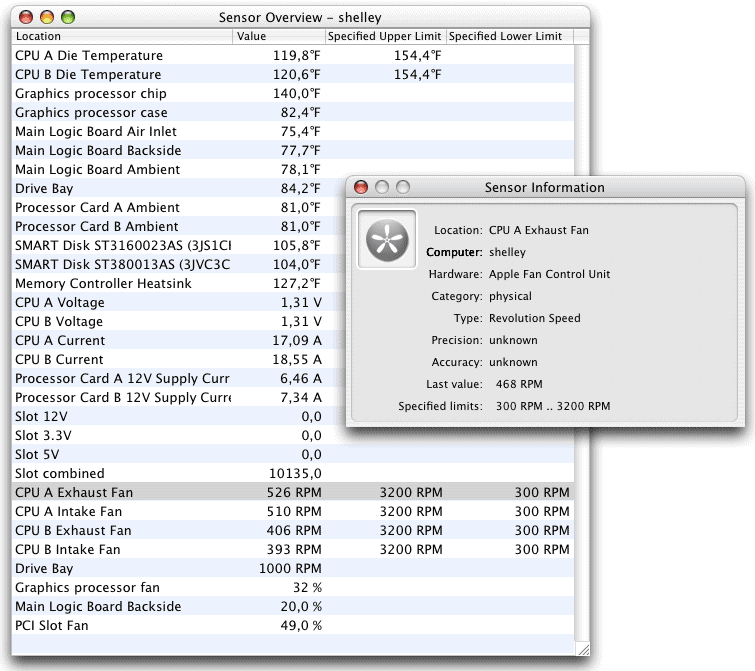 Temperature Monitor For Mac is an application to read out all accessible temperature sensors for Mac OS X. Temperature Monitor For Mac can visualize the history graphs of the readings, display measured values in a large variety of fashions, or announce readings by speech output. It store and export values. Hardware Monitor can additionally display "non-temperature" sensors and artificial operating system probes, or control external LCD panels. Temperature Monitor For Mac is the small gratis version of the application Hardware Monitor. Hardware Monitor can additionally display "non-temperature" sensors and artificial operating system probes, or control external LCD panels. Temperature Monitor For Mac is part of a software suite of 9 different monitoring applications which can be used for numerous purposes. Temperature Monitor For Mac is electronically distributed software. You can download Temperature Monitor For Mac free of charge. Qweas is providing links to Temperature Monitor For Mac 4.93 as a courtesy, and makes no representations regarding Temperature Monitor For Mac or any other applications or any information related thereto. Any questions, complaints or claims regarding this application Temperature Monitor For Mac 4.93 must be directed to the appropriate software vendor. You may click the publisher link of Temperature Monitor For Mac on the top of this page to get more details about the vendor.